During the first world war, The main deep water facilities were located at pier 2, now Jetty NB at the Dockyard, next to the Casino. (there was a land swap with the DND in the 60’s transferring the piers to Navy.) I found the Photo Above in the Cities archives, and it Matches Pretty closely to Arthur Lismer’s Painting. 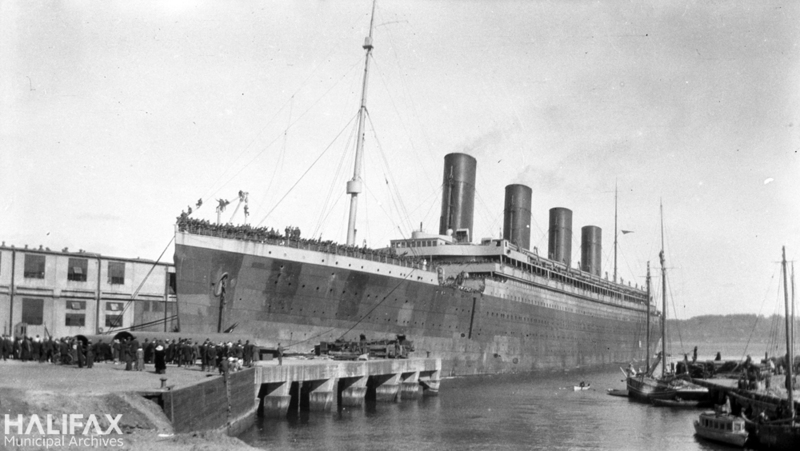 During the War, she was pressed into Military service by the British admiralty in may 1915, and striped of civilian fittings, and armed as a Troop ship. She was eventually chartered by the Canadian Government for transatlantic troop movements, working in that service in 1916/1917 and receiving a Dazzle paint scheme in 1917. 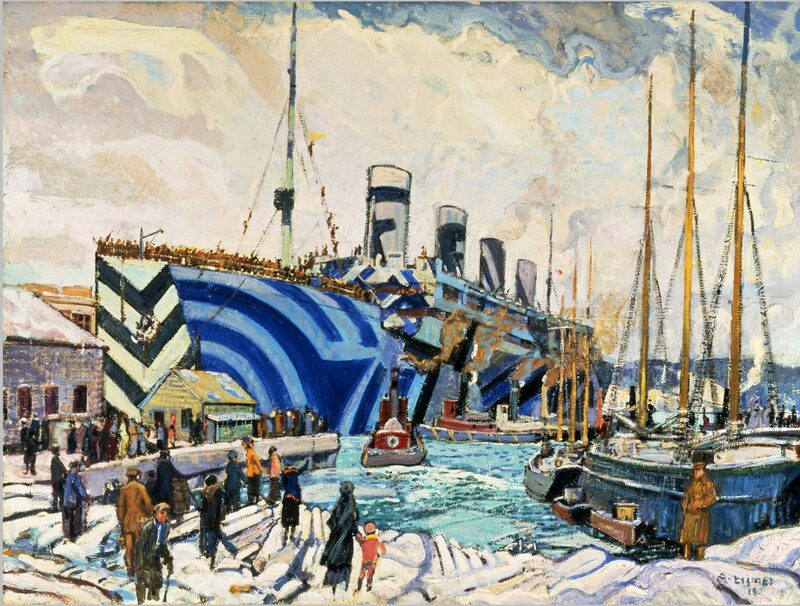 The National War Museum notes that the painting was completed in 1919, and depicts Olympics arrival on Dec 14 1918. the ship was returning with 5300 soldiers, and during the war transported more then 200,000 earning the nickname old reliable. This entry was posted in art on November 28, 2017 by Peter.